Base of birch wood and glass. Lampshade of cloth with jewelry resin, buttons and beads. E14 lightbulb with a dimmer. A handmade lamp with a one-of-a-kind design. The base is crafted from natural birch wood combined with exquisitely-shaped glass. 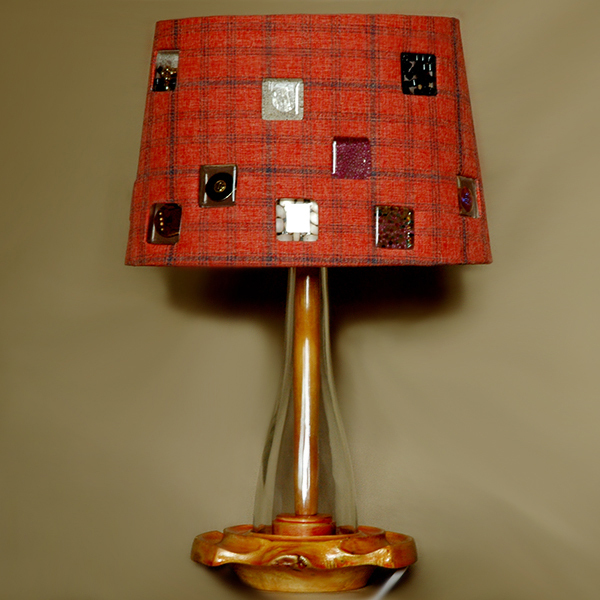 The lampshade is decorated with insertions of jewelry resin with beads and buttons.